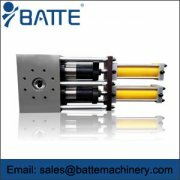 Products for Polymer Melt Filtration Screen Changers include Bolt-on adapter, Clamp type adaptation, Thread-on ring & bolt-on adapter, and other components. The details about these products are as follows. Products for low-viscosity applications are mainly for low-viscosity melts and fluids (< 500 mPas), we offer solutions for pumping and filtration as well as drop pelletizing technology for superior product quality. 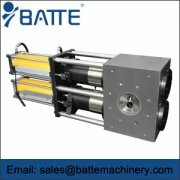 Filtration System consists of double piston screen changer, single piston screen changer, large area filtration, slide plate, diverter values, and other products. Screen changers are core products. 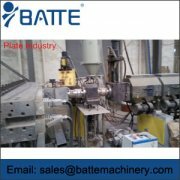 Benefits of screen Changer extrusion applications are so outstanding that screen changers are widely used in various extrusion lines. Screen changers used for extrusion lines can improve the quality of products. Screen changer adapter types include bolt-on adapter, clamp type adaptation, and thread-on ring & bolt-on adapter. 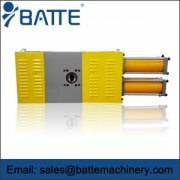 They are representative of the most typical ways in which screen changers can be retro-fitted into existing lines.